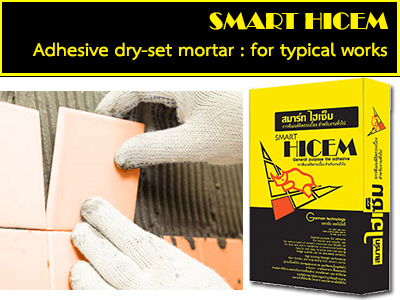 PRODUCT DESCRIPTION (FOR EXPORT ONLY)	SMART HICEM is an adhesive dry-mix mortor for typical tile setting or repairs. The bonding agents and other additives of SMART HICEM meet all the requirements for a strong, permanent bond, moisture resistant, as well as technical standard. It provides unbeatable advantage of economical price, fast and reliable on site with functionalliy and durability. SMART HICEM is highly recommended for a wide variety of interior and exterior designs, especially for floor tile installation in home or commercial buildings. Working sureface must be cleansound, dry with normal absorption. Free from dust, oil, contaminants such as curing compound, sealer or any based residue. Apply SMART HICEM mixture to the working surface in a smooth layer of 5-8 mins. Thickness, then comb the adhesive with a notched trowel for a ribbed effect. 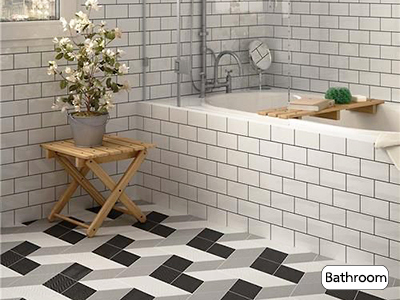 Apply the tile firmly with a slight twist to ensure proper adhesion if the tile is over 15x15 cm. 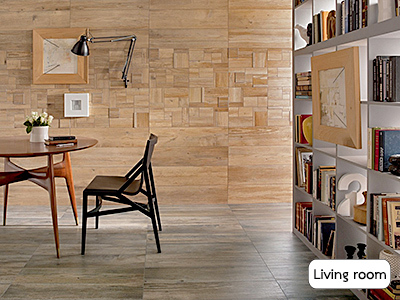 it is recommended to apply tile adhesive slightly all over at the back of the tile. 12 months after manufacturing date. It should be keep unopened in dry and ventilated store. IT is not recommended to use on exterior wall higher than 3m. 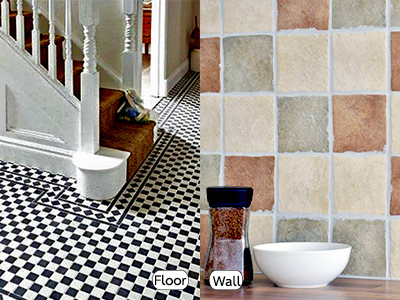 or use with non-porosity tiles. (Use HICEM EXCEL-POWER instead). IT is ont suitable for using on metal, plastic, glazing substrates surface or gypsum board. 1. Use runner hand gloves, dust mask & safety goggles. In case of allergy seeks medical advice immediately.